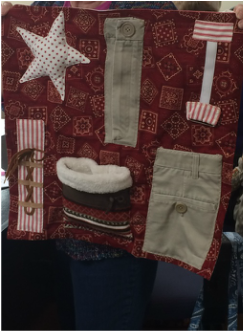 A great example of a “hands and feet” ministry at our Church is the fidget lap quilt ministry. The Lord impressed on the heart of one of our ladies, Phyllis Toole, the need to take on this project. It began when she was in a meeting of the volunteers’ organization at Johnston Health Hospital where they were discussing purchasing fidget lap quilts for patients who come into the hospital with Alzheimer and Dementia to keep them occupied during the many long hours they are confined there. They had ordered one and were showing it to the group. The cost per quilt was around $50 and the quality of the lap quilt was not very good. It was through this event and the fact that Phyllis was having health issues that was restricting her physical activity that the Lord laid this mission in Phyllis’ “LAP”. 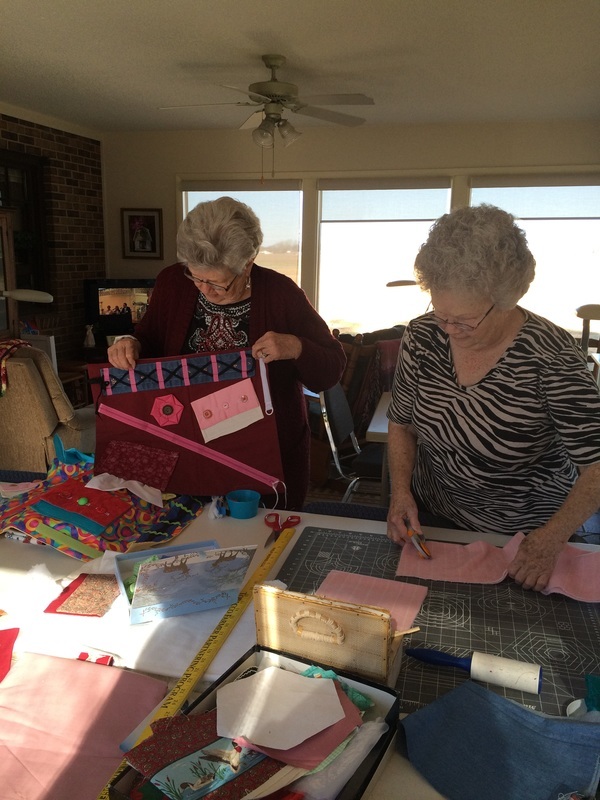 Not only does it meet the needs of Alzheimer and Dementia patients at Johnston Health Hospital but it has blessed Phyllis with many hours of pleasure creating beautiful and much needed lap quilts. Phyllis enlisted the help of another great seamstress and lover of missions in our Church, Brenda Mitchell to help her. The demand for the quilts is so great they can hardly keep up! It takes about half a day to make one quilt. These ladies together with the occasional assistance of our Church’s Women’s Group and the community have made and donated a total of 187 quilts to date and that number grows daily. Thus far very little has had to be purchased to make them. Donations have come from all over and Phyllis has many stories about how and where the donations have come from that she loves to share. God has without a doubt called Phyllis to lead this effort and has blessed her with the means to accomplish it.